I'm finding it hard to adjust to the seasons, mostly just for the lack of light. The evening comes much sooner now and doing homework with the kids and making dinner when the sky is black, I'm feeling slow to adjust to it all. One of the best remedies to the dark months are those cozy elements that we really don't need in the summer. The fireplace, a warm blanket, wool socks, and of course (and most importantly) candle light! 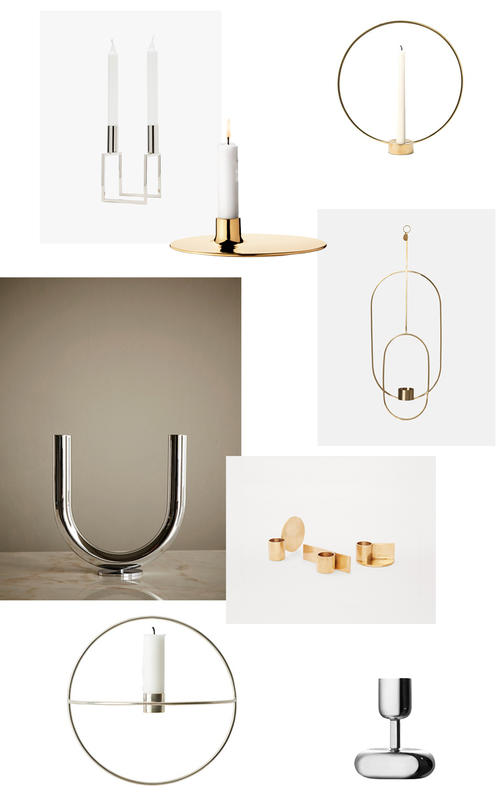 That's why I've gathered 8 of my favorite Scandinavian candle holders, along with a few others down below. Candle light can carry you through otherwise bleak and dark weather to make the most of this time by creating a cozy and inviting environment!